A good way to remember your dearest ones who have sadly passed away and cannot be with you any longer is by commemorating their birthdays when they do arrive. 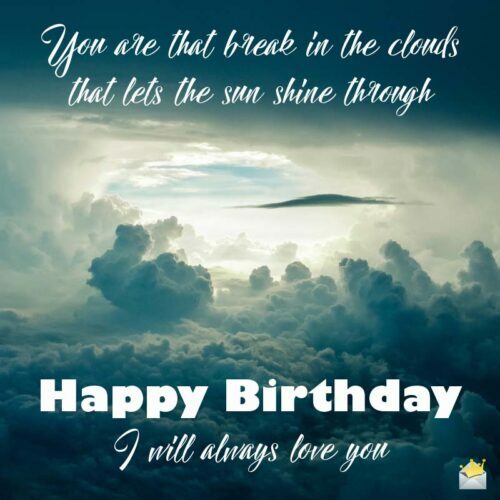 To do so, you can count on our trove of heartwarming happy birthday in Heaven wishes here on this page to reminisce all the lovely times you have spent with them and let them know you still remember them. Despite the fact that my heart still aches for your sudden departure, the bright lights that you left in my life shall continue shining brighter and brighter each day. Wishing you a happy birthday in Heaven, Dad! The great bond that exists between us shall never be broken even though you are not with us anymore. Your teachings and guidance shall forever remain in our hearts. Happy birthday! Losing you was the hardest and most unfortunate moment in my life, but knowing that you are happy up in Heaven brings me so much joy. Happy birthday, friend! I must say how tough it has been ever since you left us. Although our lives have never been the same, we are joyful to celebrate your Big Day today, knowing that you are smiling in Heaven. You are not with me today to blow the candles on your cake, but I want you to know that the beautiful memories of you shall forever bring me something special to cherish. Happy anniversary in Heaven! I celebrate you today and every other day because you have been the sweetest part of my life and the memories of you shall forever dwell in my mind. Wishing you joy on your birthday in Heaven! I appreciate all the moments that we had together, and today being your birthday, I want you to know that every little moment spent with you were the happiest in my life. I miss you so much, pal! In my heart, you shall forever remain despite the fact that you are not with me any longer. Wishing you a lovely birthday! Being without you anymore causes my heart to ache, but I derive great comfort and joy knowing that you made it to Heaven and that you are happy up there. 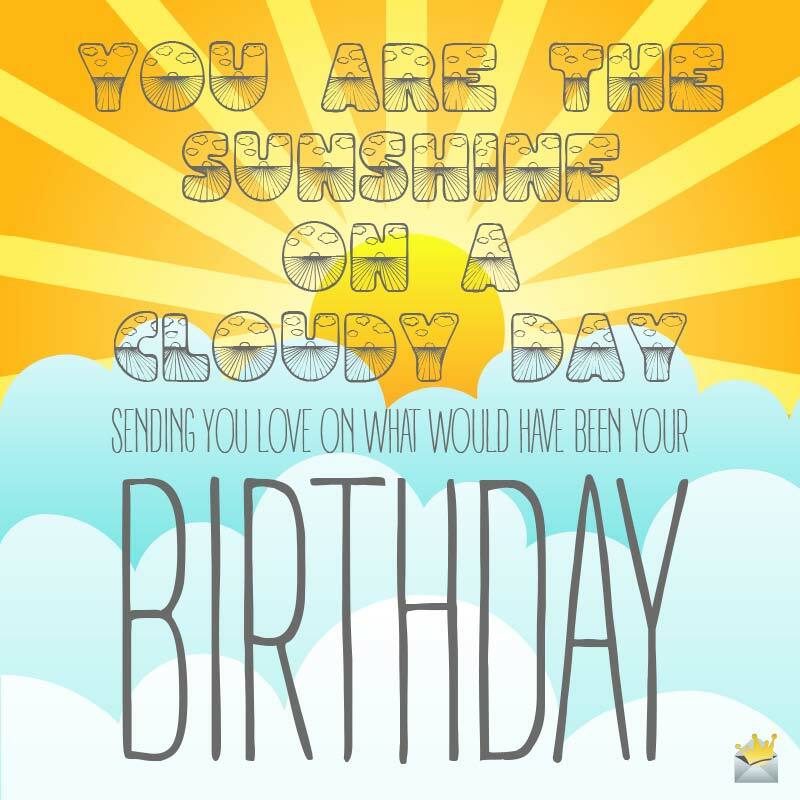 Wishing you a smiley birthday, dear! Happy Birthday to my Angel in Heaven. Just wanted to tell you how much I miss you and that the loving memories of you are everlasting in my mind. I wish you a marvelous anniversary, knowing that you are by the Lord’s side! My heart aches in grave sorrow since you departed for Heaven, but I take solace in the extremely beautiful moments that you left behind. 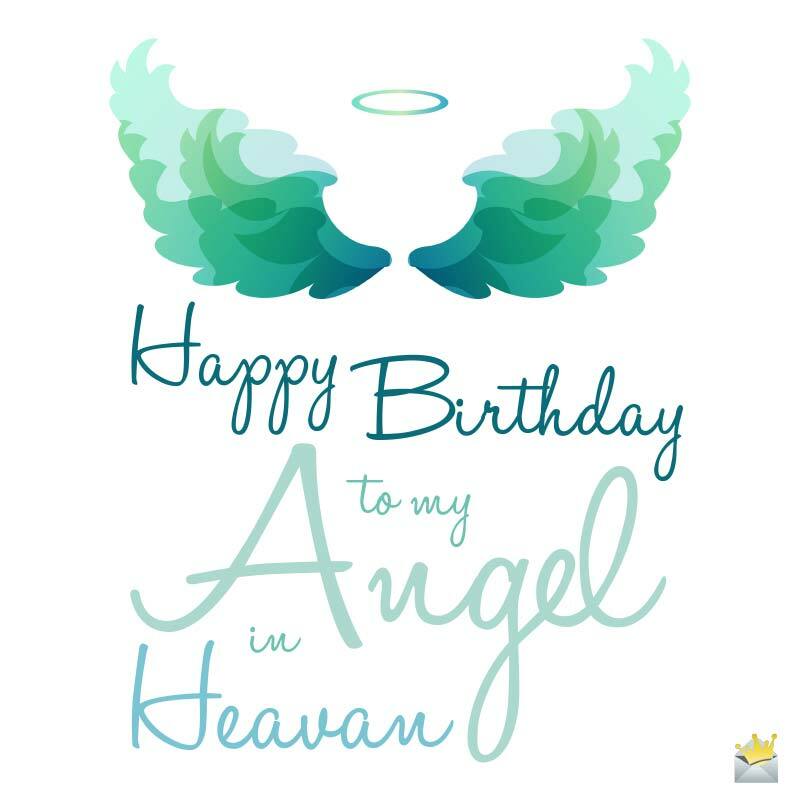 Happy birthday in Heaven! Today, even though we miss you, we are all glad to celebrate your birthday in the knowledge that you are by God’s side, smiling and with your heart overflowing with joy. You brought happiness into my life, showed me love, and taught me how to be kind. Your departure has left me empty. However, I shall forever be grateful for the time I got to spend with you. Happy birthday! Though thinking of the incredibly beautiful moments that you have left behind is something that cheers me up, my heart still feels the pains of your absence. Happy birthday in Heaven, Daddy! I have been broken into countless pieces by your sudden departure, but the thought of you being in Heaven is the only reason why I still keep on going. Happy birthday! I know no amount of sorrow, tears or heartaches will bring you back to me, so all I can do now is to move on and cherish all the great times that we spent together. Happy birthday to you in Heaven! I always give thanks to the Lord for having the opportunity to be with you and to share my love with you. It is so unbearable being without you. However, I wish you a happy birthday. You made my world so beautiful, and for as long as I live, I shall always treasure every single moment spent with you. Happy birthday, friend! Happy anniversary! I have been torn apart ever since you left this world. The only thing that gives me consolation is the fact that you are incredibly happy in Heaven. You are that break in the clouds that lets the sun shine through. Happy Birthday. I will always love you. The Lord knows why He made you leave so many wonderful memories behind. I believe this is so that we can have something to cherish when you are gone. We miss you and wish you a happy birthday. Happy birthday in Heaven, Mom! In the midst of your absence, the joyful and wonderful moments you shared with us are the only things that keep us going. Though you have departed this earth, I believe that you have accomplished all that the Lord sent you to do, and the greatest of all was to leave amazing moments in my world. Happy birthday. Even though it is extremely hard to live without you, I thank the Heavenly Father for all the unforgettable memories that you have left in my world. Wishing you happiness on your anniversary! On your birthday today, I want to wish you great joy and also let you know that you shall forever remain in my heart despite the fact that we are worlds apart. Happy birthday in Heaven, buddy. My heart will never ever stop missing and loving you. I can’t wait to see you again. Happy birthday, dear. Deep down in my heart, I know you are smiling in Heaven. That makes me feel good. Happy birthday in Heaven, dear Mom. I miss your lovely voice, your heartwarming smiles, and every single thing about you. I still can’t come to terms with why the Lord chose to take away from my world such a spotless kind of human like you. But I believe you are enjoying your special place in Heaven. Happy anniversary. You are the sunshine on a cloudy day. Sending you love on what would have been your birthday. Happy birthday! I can hear the echoes of your beautiful voice. I still remember all the joyful moments that we shared. It seems like you never left, however, the heartaches keep reminding me of your absence. Though your departure makes my heart ache with immense sorrow and anguish, I am at least relieved to know that you are happy and having great fun up in paradise. Happy birthday! Though the hardest thing for me now is being without you for the rest of my life, I will surely never forget the brightness that your presence has left in my world. Happy birthday in Heaven! Missing you is tough. It really is, and I can’t conceal that fact. But I know you left for a much better place and that you are truly happy now that you are in heaven. Happy birthday! Wishing g gloriously happy birthday to a friend whose time on earth brought nothing but joy and happiness to me. May you always have a smile on your face as you rest in God’s loving arms. As you celebrate your birthday today up in heaven, I hope you know that I am missing you so badly and that the love you left in my heart is the only thing I hold on to in your absence. Happy birthday!